James Eagan, a trooper with the 20 years of expereince with the New York State Police is the author of A Speeders Guide to Avoiding Tickets. According to the book description, “Regardless of your record as a driver, everyone speeds sometimes. You are on the open road, no one around for miles, and so you step on the gas pedal. Then you experience a sinking feeling in the pit of your stomach -- and in your wallet -- when you see a flashing red light in the rearview mirror. Now you can ease on down the road without paying the high price of traffic tickets, inflated insurance premiums and expensive lawyer's fees. 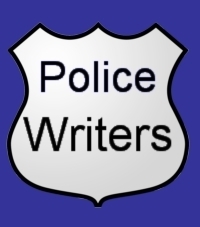 Former New York State Trooper James M. Eagan tells you how-with invaluable tips and trade secrets that the police don't want you to know. According to the New York State Police, “In 1913, a construction foreman named Sam Howell was murdered during a payroll robbery in Westchester County. Because Westchester County was a very rural area then, there was no local police department and Mr. Howell's murderers escaped, even though he identified them before he died.